Human is not born to suffer only. Though suffering is inherent in every being, each of us has potential to be free from suffering. Aging, sickness, bereavement, dissatisfaction, and death cannot inflict suffering to us if we realize the true nature of reality. Life reveals to us the true nature of reality every moment. But we are always indifferent to it since we never spare time watching our mind at all. Life gives us tremendous amount of time whereas nature gives us the tool to monitor our mind. Unfortunately, we never make the best use of what we possess. However, suffering that always torments our mind keeps urging us to find the way out of it. After repeated failures, we will realize that the key to freedom from suffering, Sati – Panna (mindfulnoess and wisdom), is already inherent in our mind; it cannot be found through prosperity, fame, or power. Sati is a tool for inspecting the mind; panna enables us to realize the truth. Mindfulness and wisdom are capable of elevating us from suffering. The only requirement is: We have to spare time and take effort in developing mindfulness and wisdom. Mindfulness meditation is the essential way to develop our capacity toward freedom from suffering, where aging, sickness and death no longer do harm to us. This way was delivered by the Buddha to human beings for more than 2,500 years. Though arcane, it is timeless and universal, suitable for every era and everyone, regardless of nation, religion and culture. 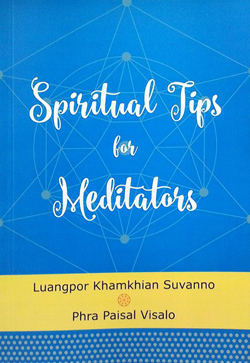 This book is the collection of lectures by both of us, addressed to American audience at Chuang Yen Monastery during June and July last year, with the cordial invitation of the Buddhist Association of the United States. We are grateful to the Buddhist Association of the United States and Chuang Yen Monastery for rendering us opportunity to lead meditation courses in the United States and meet a lot of committed practitioners. Our special thanks go to Dwight Chien who coordinated this project and never failed to keep us comfortable during the two months of our stay in New York. We also benefited a lot from supports of many people especially monks and nuns in Chuang Yen Monastery and Yen Ming, to name but a few, to whose generosity we are grateful. During the process of publishing this book, a lot of contributions have been made by Susan Chen, Nancy Steckel, Richard Baska, and Emily Chiang; we would like to thank all of them.